Hayemaker Ringstar, the partnership between two-weight World Boxing Champion, David Haye, and world renowned promoter, Richard Schaefer, has today announced the stable’s professional debut, will take place on October 20th at Indigo, The O2 arena. Headlining the show will be Olympic silver medallist, Heavyweight Joe ‘Juggernaut’ Joyce who will make his professional debut against former WBO Inter-Continental Champion Ian Lewison. Lewison brings a wealth of experience to the ring, with a 12-3 record, winning 8 of these by knockout. His most recent bout against world-ranked Dillian Whyte, provided an enthralling 10-round contest for the British Heavyweight title. The South London rivals will be supported in an explosive match up between current English Champion and former Commonwealth Champion and current English Champion John O’Donnell (32-1, 11KO), as he defends his English Welterweight title against all action fighter Tamuka Mucha (16-1, 4KO) of Reading. This English Title Fight is also the final eliminator for the British Title. MMA (Bellator) star and 10-time World Kickboxing Champion, Michael ‘Venom’ Page (MVP) will be making his professional boxing debut. MVP will be looking to bring the same show-stopping style we’ve witnessed in the cage to the boxing ring. Also making his hotly anticipated professional debut will be Scotland’s amateur World and European Champion, Willy ‘Braveheart’ Hutchinson. Coming from a family of former World Champions he is looking to emulate their previous successes. The fight will be broadcast live on UKTV, the biggest multichannel broadcaster in the UK, for its entertainment channel Dave. Live coverage will start from 9:00pm on October 20th as the partnership aims to satisfy Britain and Ireland’s appetite for free-to-view boxing. 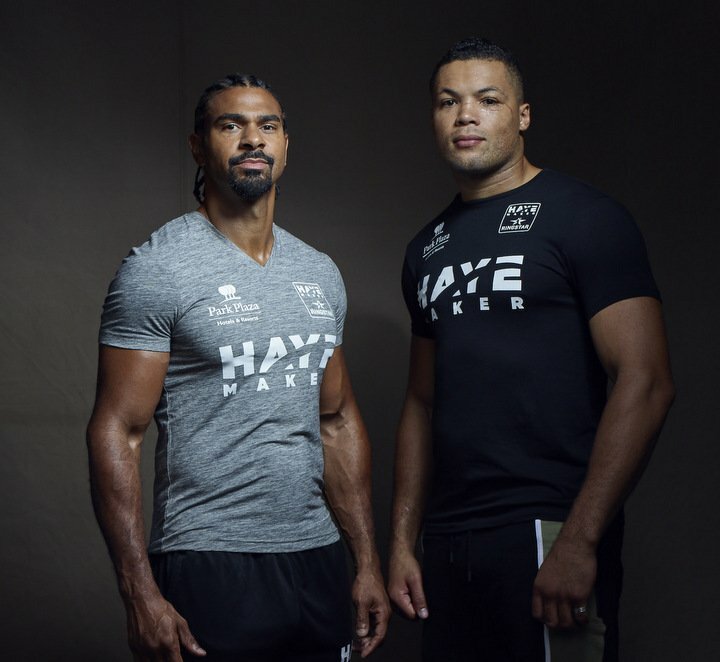 David Haye said: “We’ve got an exciting line-up of emerging new stars, so the inaugural Hayemaker Ringstar Fight Night is set to be electric!! The Hayemaker Ringstar stable is unique, with each fighter cherry-picked by myself and Richard (Schaefer) for their star quality inside, and outside the ring. “We have everything from a future Heavyweight Champion of the World to an MMA specialist looking to replicate his success in the boxing ring. Willy Hutchinson said: “I’ve accomplished everything I wanted in my amateur career, so this is a great new challenge for me. I’m hungry, excited and raring to go for October 20th”. Tickets packages range from £40 – £250. The VIP package priced at £250 includes premium seating, VIP bar, complimentary food and drinks and a meet and greet with David Haye. Previous boxing news: Joshua vs Pulev Official For Oct 28 – Cardiff – Tickets On Sale!